New York blast suspect Akayed Ullah had visited a Rohingya camp in Cox’s Bazar during his last visit to Bangladesh this year. The 27-year-old had visited Bangladesh in September and had gone to the Kutupalang Rohingya Camp with aid in October before leaving the country on the 22nd of the same month. However, the exact date of the visit could not be ascertained yet. In a conversation with the Dhaka Tribune’s correspondent, Mahfuja Akhter talked about her son-in-law Akayed’s last visit to Bangladesh and his behaviour. “He stayed in Cox’s Bazar for a day and distributed first aid medicines among the displaced Rohingyas in Kutupalong,” she said while talking to Dhaka Tribune at her Hazaribagh residence on Wednesday. “Akayed did not even stay in a hotel during his short visit there in order to save money to purchase more medicines for the helpless people,” she added. Mahfuja said: “Akayed got into a Cox’s Bazar-bound bus at night and then informed us about it through a video call. “He [Akayed] reached Cox’s Bazar in the morning and left for Dhaka on the same day,” said the shocked woman, failing to recall the exact date of the journey. The Dhaka Metropolitan Police’s Counter Terrorism and Transnational Crime unit (CTTC) officials also confirmed Akayed’s visit to Kutupalang Rohingya Camp. The police unit, however, are yet to find out if Akayed was accompanied by anyone during his visit. The officials said they were looking into the matter seriously. “Akayed did not go out much. He only went out to offer prayers five times a day at nearby Shahi Mosque. He always stayed at our house during his visits and stayed busy with his little son throughout the day,” said Akayed’s father-in-law Julfikar Haider. He said: “Akayed visited Bangladesh three times after marrying my daughter [Jannatul Ferdous Jui] in January 2016. He spent most of his time at home during these visits. “During the wedding ceremony, some of his [Akayed’s] relatives and friends visited our house but after that none of his friends ever visited back,” Akayed’s brother-in-law Hasan Mahmud Joy said. Jui stood behind curtains to veil her face and told the media that her husband was innocent. She also sought help from the media and Bangladesh government to take necessary steps to ensure justice in the matter. However, she was unable to talk to the media much due to illness. Both Jui and her younger brother Joy told the Dhaka Tribune correspondent that Akayed had just asked them to perform Namaz five times a day, which is a common practice for every Muslim. The family is now in shock after coming to know about the incident. They also requested the Dhaka Tribune not to take any pictures or video of their family members to avoid harassment. New York police arrested Akayed after he reportedly detonated a homemade bomb strapped to his body at the Port Authority Bus Terminal on December 11. He and three others were injured in the attack. After the blast, Akayed told police interviewers that “I did it for the Islamic State,” according to court papers filed by federal prosecutors. According to the documents, he also told investigators that he had been motivated by American air strikes on Islamic State target. 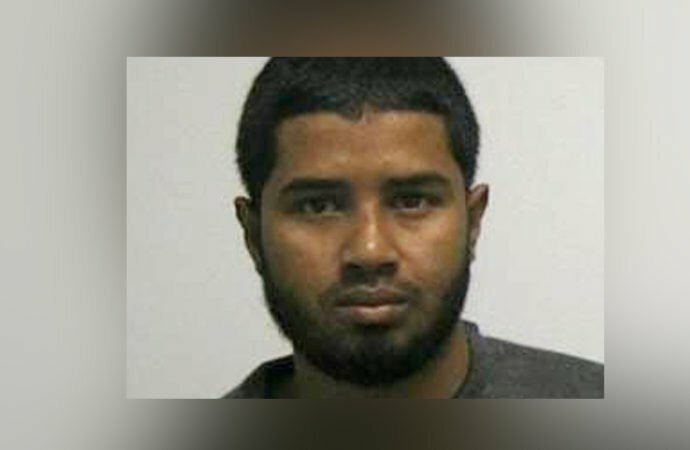 The 27-year-old Bangladeshi migrant was charged in a criminal complaint filed in Manhattan federal court with providing material in support to a foreign terrorist organization, bombing a public place, destruction of property by means of explosive and use of a destructive device. Earlier, Inspector General of Police AKM Shahidul Hoque said Akayed had no criminal record in Bangladesh and had last visited the country on September 8.